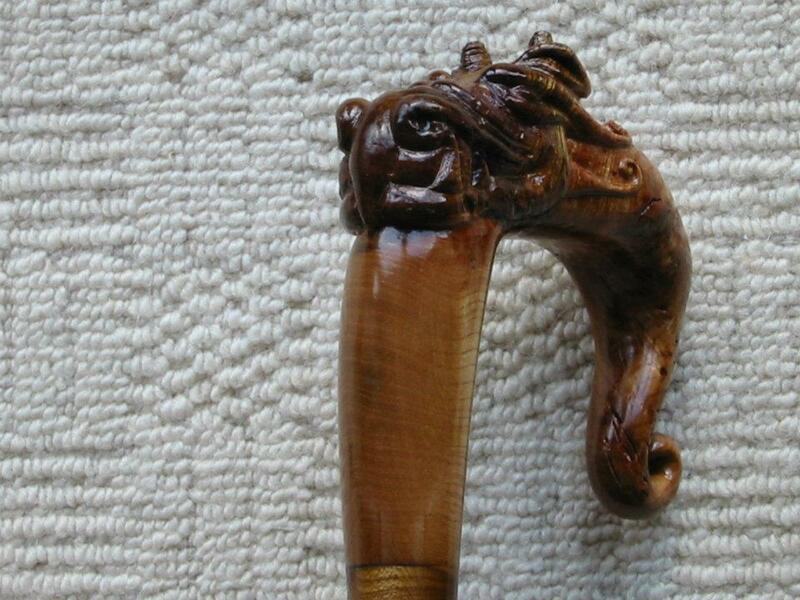 This walking stick was inspired by the burl it was made from. After I cut out the basic shape the dark burl and its lighter coloured tail immediately struck me as a face. Once I started to round off the edges it slowing became a dragon face. The area just below the ‘chin’ of the dragon face is such a lighter colour because it is from the tree and not the burl.